which is mainly a bugfix release with some improvements and features too. -- Fixed building tests with the backend built as DLL. It is the “community” version and I would like to have your feedback on their added value in a CRM, before carrying over the enterprise modules. 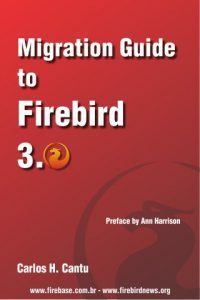 Thanks to Firebird, the memory and processing space has been reduced with two thirds when migrated from MSSQL to FirebirdSQL. With transition to .NET 4.5 I’m considering dropping pure .NET FW 2.0 support. The .NET 2.0 runtime WILL BE still supported, but you’ll have to have all the updates ending in .NET 3.5 SP1 installed. + SQLite very sloppy typing can cause serious problems cf. and code size required – thinking ongoing. Some time ago I’ve written a portal in pure PHP for controlling test laboratory of C# applications. The whole testing process is based on a framework of our own production.